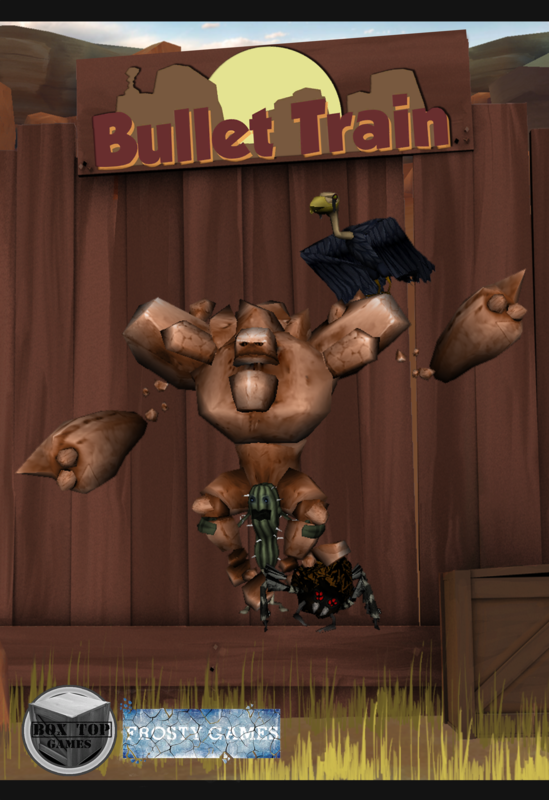 Bullet Train is a fast pace first person shooter about defending a train full of cargo from creatures in the harsh desert. Run up and down the train fighting off tumbleweed spiders and rock titans to try and keep your cargo in prime condition. At each station you reach you will be able to buy new weapons and upgrades as well as place turrets along the side of your train. You can use the turrets yourself to get right in on the action or just sit back and let your turret army take care of some of those critters for you. This was a student project done at Full Sail University with a 2 month design and 3 month development time frame to make the game. A long over due update that hopefully fixes most of the issues people ran into with the game booting up to just a black screen. If this issue effected you make sure to get the most recent version and that your directX is up to date and that should fix most of the issues. If you are still having issues with the game showing up a black screen make sure that you do not have duel monitors enabled as this will cause the game to only have a black screen. A fast paced shooter about defending a train full of cargo from creatures in the harsh desert. Download, Play, Enjoy! and maybe comment if you enjoy it or hate it! This is the final build of Bullet Train as it was turned into Full Sail Universities for the teams final project. Enjoy! I know this was just a small project but boy do I wish there was more content. This has so much potential. I recorded a gameplay of your game at 1080p60. Failed to create the DirectX device!!! PLEASE DO PATCH!!! Pretty good game, but I think the level should go on until all the cargo is destroyed or multiplayer, that would be a good addtion. it said that it cannot run bullet train .exe can anyone help? This game is cool but is too short.